Chennai is seeing cold nights with early mornings especially nippy. It is expected to continue for a couple of days more at the least. 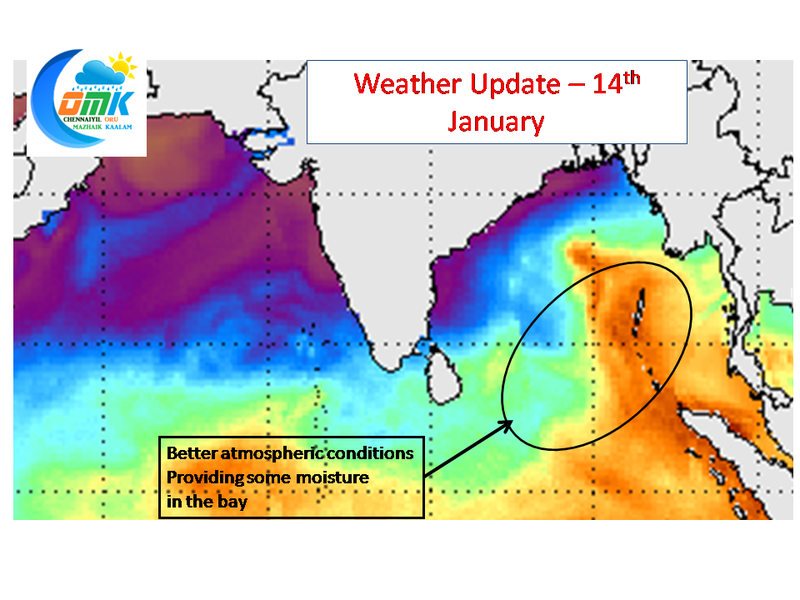 There is a minor disturbance in the Bay which is under marginal development potential. 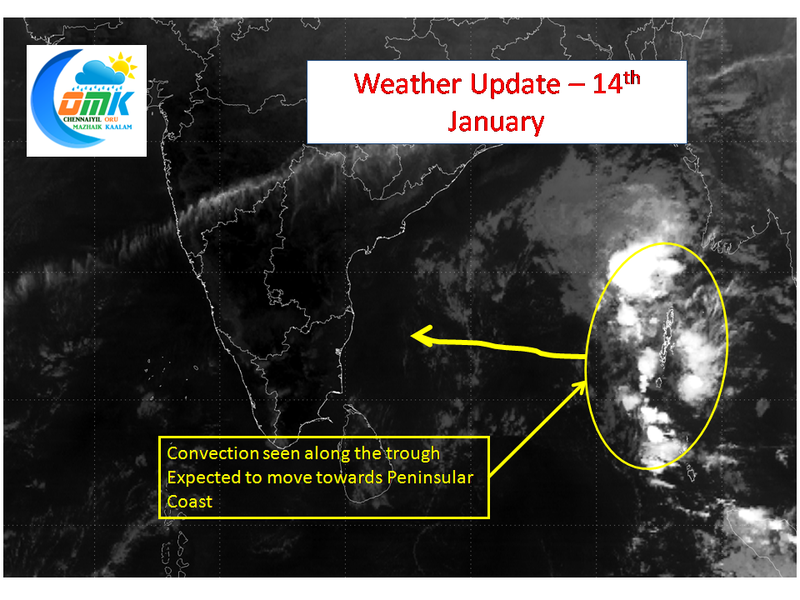 The area around Andaman Islands is showing some good convection which potentially could move towards the Peninsular coast around the weekend. 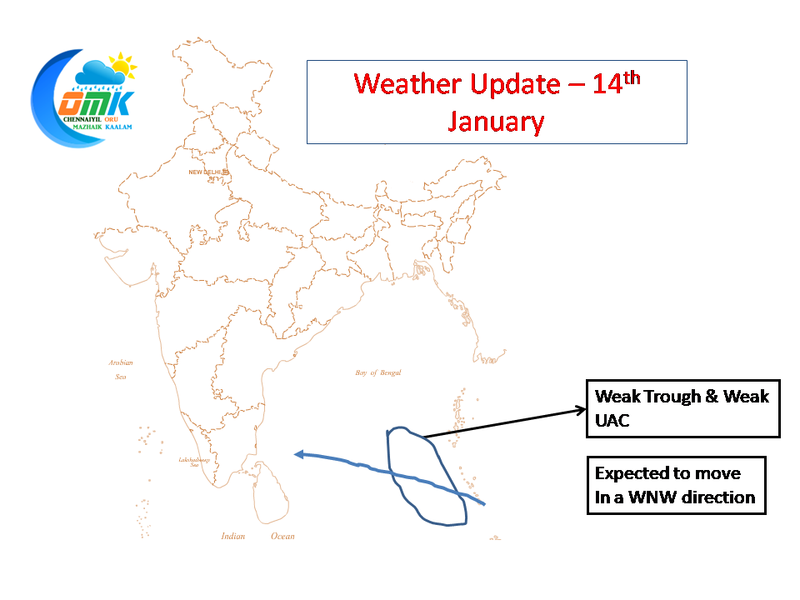 Though the disturbance is unlikely to trigger any major rains to Tamil Nadu, north coastal TN could get some isolated showers around Friday Night / Saturday early morning. While the rains may not be heavy it could possibly pull up the minimum temperature up by a few degrees and the humidity should also see some increase.